Taja Feistner attributes her modelling career to Monica’s Fried Chicken in Iowa. “My agent was craving it the night she scouted me,” the Midwestern native told Vogue of her teenage career serving tables at the local family-run restaurant. From that night onwards, Taja was no longer around fried chicken, but the biggest casting directors in the fashion industry. 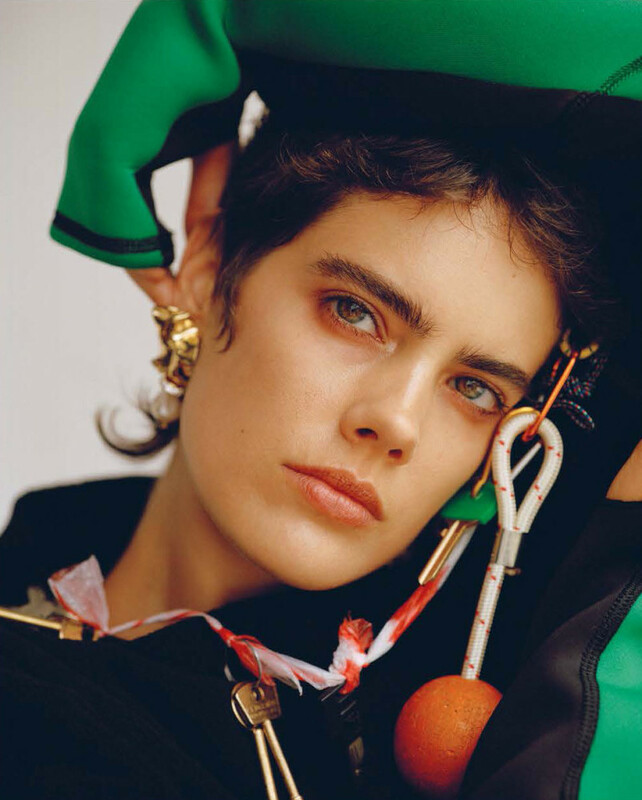 Feistner was recently unveiled as the lead protagonist in Miuccia Prada’s episodic short film project, Nylon Farm. Feistner describes the narrative as a “wonderful sci-fi tale around the production of one of Prada’s most iconic fabrics”, but from the outside it looks like Mrs Prada has gone all Black Mirror on us. The androgyness beauty has also walked and worked for designers including Miu Miu, Louis Vuitton and Armani to name a few.